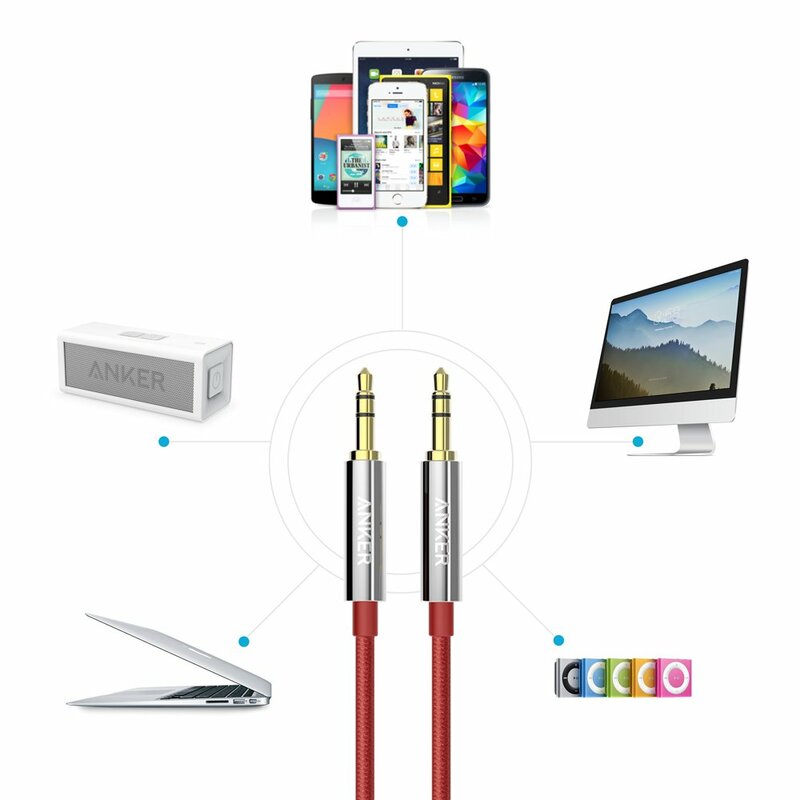 Universal Compatibility: Play audio from any phone, tablet, iPod, laptop or other media-playing device on your headphones, Hi-Fi or car stereo (fits standard 3.5mm aux ports). Best Sound Quality: Built with the same grade materials as premium headphone brands. 24K gold-plated contacts ensure the cleanest sound experience possible. Incredibly Durable: With a 10000+ bend lifespan several times longer than original audio cables, premium metal housing and four feet of durable, tangle-free cord, this cable really is made to last. Perfect Fit: Ultra slim extensions to the aux jacks enable use with pretty much any phone or tablet case (unlike standard aux cables). Please note: This cable does not fit some Beats headphones. What You Get: Anker Nylon Braided Auxiliary Audio Cable, our fan-favorite 12-month warranty and friendly customer service.